ENGLEWOOD, Colo., Jan. 22, 2018 /PRNewswire/ -- DISH today released Hopper Duo, its dual-tuner HD set-top solution for one- and two-TV households. 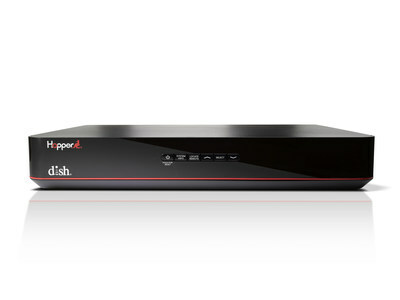 Hopper Duo packages the most essential features of DISH's award-winning Hopper 3 for customers with smaller-scale entertainment setups. "The average US home has about two TVs connected to a pay-TV service," said Niraj Desai vice DISH vice president of product management. "Hopper Duo is a feature-rich, high-value product for households that want DVR capacity for only one or two screens." The Wi-Fi-capable Hopper Duo includes the modern Hopper user interface with HD graphics and easy content discovery; a 500 GB hard drive for up to 125 hours of HD DVR recording; compatibility with Amazon Alexa voice control; universal search; Bluetooth audio support via adapter; Picture-in-Picture viewing; Remote Finder; and apps like Game Finder, Pandora and DISH On-Demand, with Netflix coming soon. 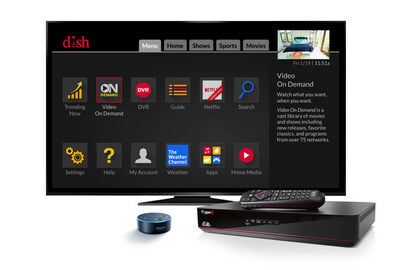 Hopper Duo ships with DISH's new voice remote. Hopper Duo supports a second HDTV when paired with a Joey (Joey, 4K Joey or Wireless Joey). With two tuners, Hopper Duo customers can watch or record two live programs simultaneously. If a customer is recording two live shows, they can still watch previously recorded titles from their DVR or anything from the OnDemand catalog. Beginning today, qualified new and existing customers can receive a Hopper Duo at no upfront cost. The Hopper Duo system requires a whole-home DVR fee of $10 per month, with an additional $7 per month required for an added Joey. *Note: The average number of pay-TV set-top boxes per household in the United States is 1.7, according to a recent study by Leichtman Research Group.